The proposed guidelines for developing the North Beach Town Center to incorporate the increased density approved by Miami Beach voters last fall are going to the full Commission for consideration next month. In the meantime, the ordinance will make another stop back at the Commission’s Land Use and Development Committee to further refine recommendations for height increases and co-living spaces. 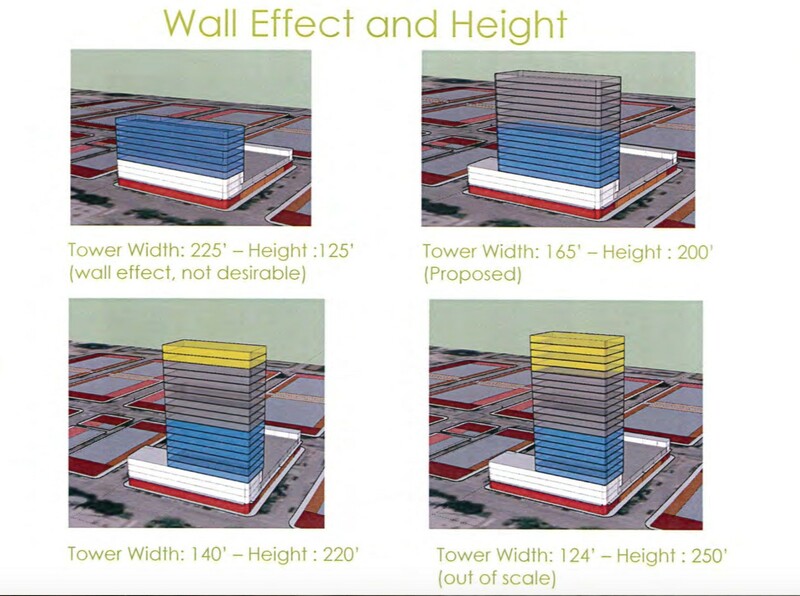 City Staff has proposed allowing an increase in height up to 200 feet. Last month, the Planning Board recommended an increase in height of up to 220 feet as requested by developers. The Board also recommended a reduction in the shared amenity space for co-living buildings and an increase in the amount of time developers would be exempt from making a public benefit contribution in exchange for the higher height. In a nearly three-hour discussion, the Land Use Committee rejected those changes and gave direction for developing a staggered height model that would concentrate the tallest buildings in the 71st and 72nd Street areas while maintaining a lower height near the more residential areas of 69th and 70th Streets. “This provides an opportunity and a housing option for millennials, empty nesters, even the elderly who are not looking for a large residential project,” he continued. “In our experience, and based upon discussions with those in the market, unless there is a market for this type of housing option, it’s difficult to get the financing for it and most people are just not going to invest the sums that are needed unless they believe there’s a market for it. This isn’t to say that the area’s going to be overrun or that there’s going to be a lot of these projects but we felt that having the option would be good for the area because these types of units also generally have less of a traffic impact. They are typically resided in by people who want to spend more time within the area because it’s a more walkable area and it’s the type of unit that would expand the variety of residential units that are available.” The minimum unit size in the proposed ordinance is 375 sq. ft.
Committee Chair John Alemán referenced her early days in Miami Beach more than twenty years ago with a roommate because she wanted to live in South Beach but couldn’t afford to pay the rent herself. “My roommate and I shared a kitchen and had private space in our bedrooms,” she said. “I think for young people it’s very common, but we’ve given it a very modern name as co-living. But the idea of living together, having private spaces and shared spaces, for young people is not that unusual. We just call it by different terminology.” She also shared her grandmother’s experience living in a micro-unit in Sarasota. “She says she loves it because when she wants to be alone, she has her private space and when she wants to be with others, she’ll grab her Kindle and go downstairs for socializing.” Co-living in the Town Center would mean residents would be “two blocks from the beach, across from a park. That can be very attractive,” Alemán said. Regarding Góngora’s concerns about short term rentals, City Staff confirmed the area currently allows short term rentals which the City does not have the ability to restrict. Góngora said he was uncomfortable with the potential and suggested capping the number of co-living units at 10% of the maximum number of new residential units which could be created under the ordiance. That number is 3,125. 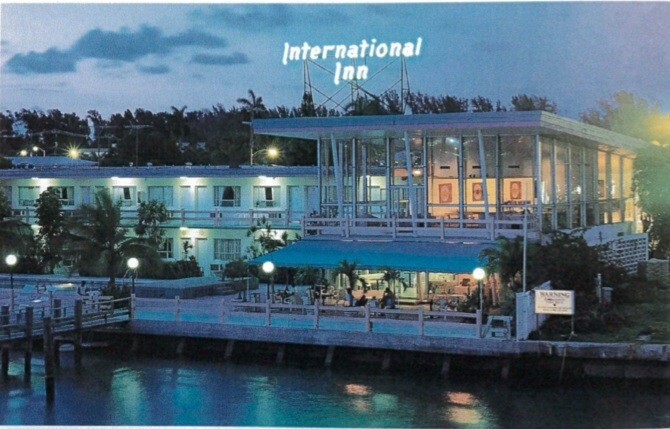 There is also a potential for 2,000 hotel units to be created. North Beach investor Matis Cohen said of the co-living units, “It’s a small but important component of Town Center because accessibility, attainability are our guiding principles.” He said he had no issue with capping the number of units at 10% initially. “I think we all have these fears of these short term rentals which this is totally not about,” he said. “It’s about creating the ability for every socio-economic level to have access to live in Miami Beach” with co-living units as a starter residence then gradually growing into larger dwellings within the community. Planning Staff has recommended 200 feet. The developers would like 220 feet. Currently in the TC-1 district, height is allowed to be 125 feet and the North Beach Master Planners recommended the 125-foot height be allowed to expand further into the Town Center area. City Staff and the developers do agree that a height increase would allow for a better distribution of the increase in the FAR (floor area ratio or density) approved by voters last November. Larkin said if the Commission were to “push down the additional FAR to these square boxes that are 125 feet in height you will certainly regret it because it’s going to lead to the most awful result where you want Town Center to be revitalized in a beautiful way.” He noted taller towers could be limited to certain geographic areas of Town Center and by lot size. Arquitectonica’s Ray Fort, who is also working with Cohen and Finvarb, said that in his analysis, 220 feet is the “optimal height” but that the majority of buildings in the Town Center would end up being 55 feet based on lot size and what could physically be constructed. “There are only three sites that could achieve 220 feet,” Fort said. Very few sites could be aggregated in a size large enough to actually build that tall. Alemán referenced the Master Plan recommendation of 125 feet. “Dover Kohl [creator of the Master Plan] didn’t do the massing studies,” she said. “We didn’t pay them to do the massing studies that now our Planning Department has done. And now you’re confirming that you have done as well” she said to Fort. “So we now have two separate sets of planning experts that have actually done the massing that Dover Kohl just wasn’t paid to do. It’s not that they weren’t capable of it, we didn’t ask them to. It wasn’t in their scope of work.” The result, she said, “This unreasonable expectation was set as a part of that process for what 125 feet was really going to look like” based on drawings in the plan. Now, she said, both Planning Staff and Arquitectonica show massing studies with the lower scale buildings needing to span an entire block in order to use the allowable FAR which creates a “wall effect”. “There wasn’t an intentional miscommunication but it has happened,” she said. “I’m open for the first time to consider height beyond 125 feet but there’s some things that I would like us to consider,” Góngora offered. “Stagger the height by lot size. If we’re going to consider going above 125 feet then it should only be for bigger lots.” And, he said he wanted to limit the tallest buildings to the commercial corridor on 71st and 72nd Streets. Arriola said, “I’m not freaked out by height. There’s plenty of buildings in the neighborhood that are at least as tall. Personally, I’d rather see height than just concrete walls… I don’t like walking through neighborhoods and not seeing sunlight anywhere or green space. The tradeoff that you can go vertical to create green space is very appealing to me.” He was open to Góngora’s idea of limiting height by lot size and keeping the tallest towers to 71st and 72nd Streets. The Committee supported Góngora’s recommendations for exploring revisions to the draft ordinance that would cap height at 200 feet and stagger it by lot size. They asked Staff to come back with thoughts on his proposal that on lots less than 25,000 sq. ft., the maximum height would be 125 ft; between 25,000 and 50,000 sq. ft., maximum height would 165 feet; and for lots of 50,000 sq. ft, height could reach 200 ft with certain public benefits (still to be defined) with the taller buildings limited to 71st and 72nd Streets. His proposal includes an exemption from paying a public benefit if a project received a full building permit within 15 months of the ordinance taking effect. Góngora also suggested capping the number of co-living units at 10% of the 3,125 maximum residential units that could be constructed under the ordinance. He would keep the shared amenity space in the co-living units at 20% of the overall building as recommended by Staff. Because of public notice requirements, the item will be advertised for the September 12 Commission meeting as is but is expected to be refined at the September 5th Land Use meeting after Staff has reviewed Góngora’s proposal. A substitute ordinance will then be placed on the agenda reflecting what the Committee agrees to on September 5th. The ordinance will require a 5/7 vote of the Commission. It can be found in its current form, here.